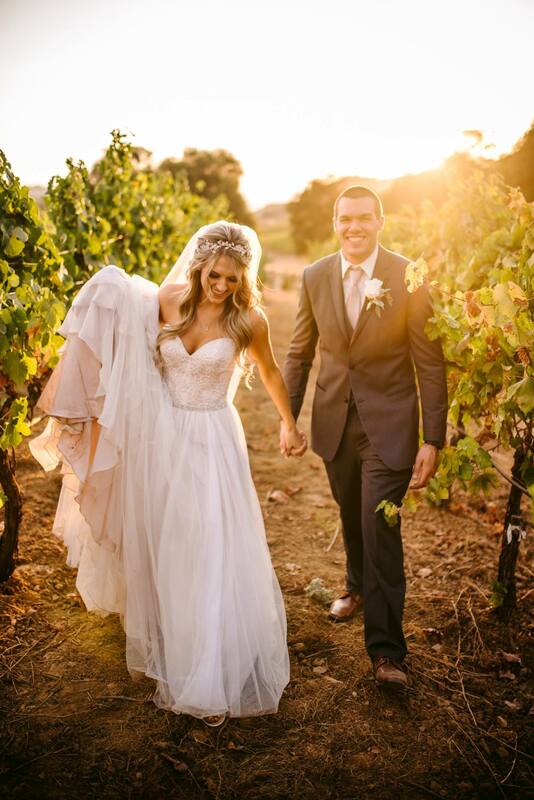 Located in the heart of the Sierra Foothills wine country, Dalton Ranch is an exclusive wedding venue that is unmatched in the region. The scenic grounds are set back in its own valley, surrounded by charming vineyards, striking oak trees, and historic structures. Our private wedding ceremony and reception venue is set to comfortably accommodate either an intimate gathering of 50 all the way up to a larger gala of 250 guests. Our packages are 100% customizable to fit your wedding needs and preferences. Our wedding consultants are available 7 days a week and are happy to answer any questions you may have to help you create your best day ever! Respect – We respect you and your choices. We do not discriminate based on gender, race, religious affiliation or anything else. Caring team – We at Dalton Ranch genuinely want you to have the wedding of your dreams and help you make it the best day of your life! We sincerely want you to have it exactly the way you want, or even better! Magical – There is a magic to this property, a certain “je ne sais quois” that cannot be described in words, but can be felt in the heart. Historic – Historic structures on the property make the Dalton Ranch unique in its own right. Established around 1900, this homestead included a ranch house, a shed and a barn, one of which is still standing to this day. The stunning oak tree in the center of the property was planted in the early 1900s. A century later, the vineyards and the koi pond with a beautiful waterfall framed by a lovely willow tree were planted. These unique features make for absolutely charming photo opportunities! Female owned business – We believe at Dalton Ranch as a female owned business, your wedding day is personal and deserves special attention. Having been a bride herself, Deirdre understands how important your wedding day is. We at Dalton Ranch are willing to work closely together with you and your loved ones to create the wedding ambiance you’ll love!